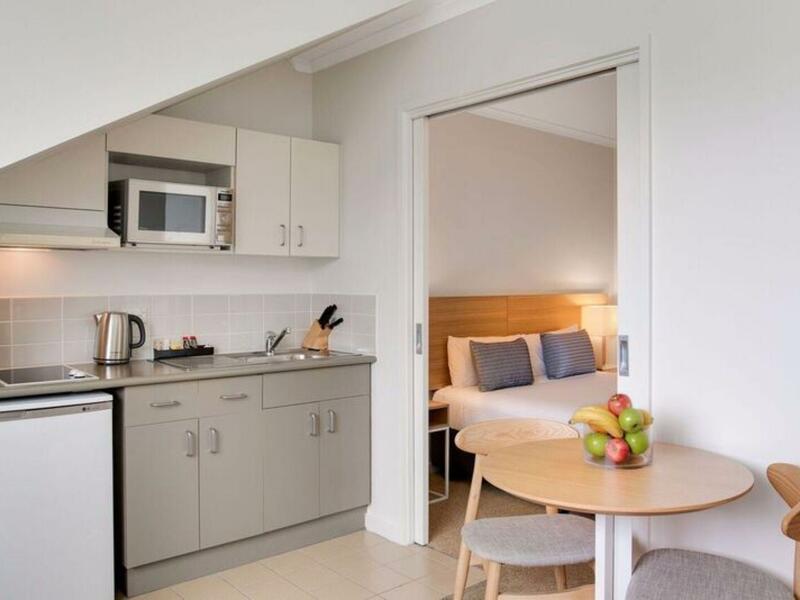 يشكل Quest Williamstown Serviced Apartments بموقعه الممتاز في المدينة نقطة انطلاق جيدة لاستكشاف أفضل ما فيها من معالم ومناطق نابضة بالحياة. يقع مركز المدينة على بعد 10.0 km فقط. ويمكن الوصول إلى المطار خلال 25 دقيقة. سوف يعشق النزلاء موقع هذا الفندق، فهو قريب من أهم المعالم السياحية في المدينة . إن الخدمات الممتازة وحسن الضيافة العالي في Quest Williamstown Serviced Apartments تجعل إقامتك تجربة لا تنسى. لضمان راحة ضيوفه، يقدم الفندق الخدمات التالية: مرافق مخصصة لذوي الاحتياجات الخاصة, تسجيل وصول/خروج سريع, تخزين الأمتعة, واي فاي في المناطق العامة, صف السيارات . ادخل إلى واحدة من الغرف 40 وتخلص من عناء نهار طويل بمساعدة مجموعة كبيرة من الخدمات كمثل تلفزيون بشاشة مسطحة, غرف لغير المدخنين, مكيف هواء, تدفئة, مكتب الموجودة في بعض الغرف. كما أن مجموعة الخدمات الواسعة الموجودة في الفندق لضمان راحتك تترك لك الكثير من الخيارات لقضاء وقتك أثناء فترة إقامتك. إن Quest Williamstown Serviced Apartments هو مكان مثالي للمسافرين الذين يتطلعون إلى الراحة والاستجمام في المدينة. يتاح تسجيل الخروج المتأخر حتى الساعة 11:00 صباحًا ويخضع للتوافر. سيتم تزويد النزلاء بمياه معبأة كمشروب ترحيبي. A little tired and outdated. Hi Susan, Thank you for taking the time to review our property. We are so glad you enjoyed your stay and also appreciate the feedback. 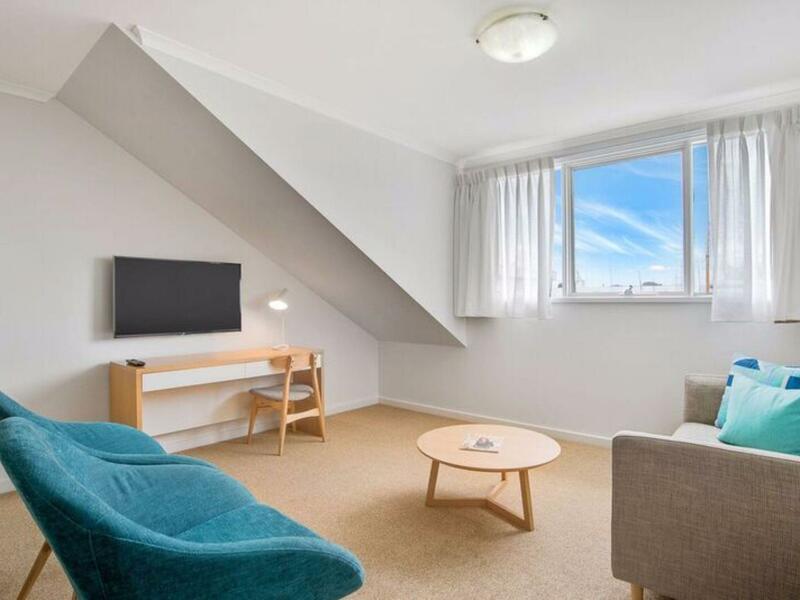 We had our apartments refurbished which involve new furniture, and paint, and an upgrade in apartment appliances however we are hoping to have future renovations in the near future. Kind Regards, Quest Williamstown team. Big rooms and big beds. Kitchen has complete set of necessities. Recommended! 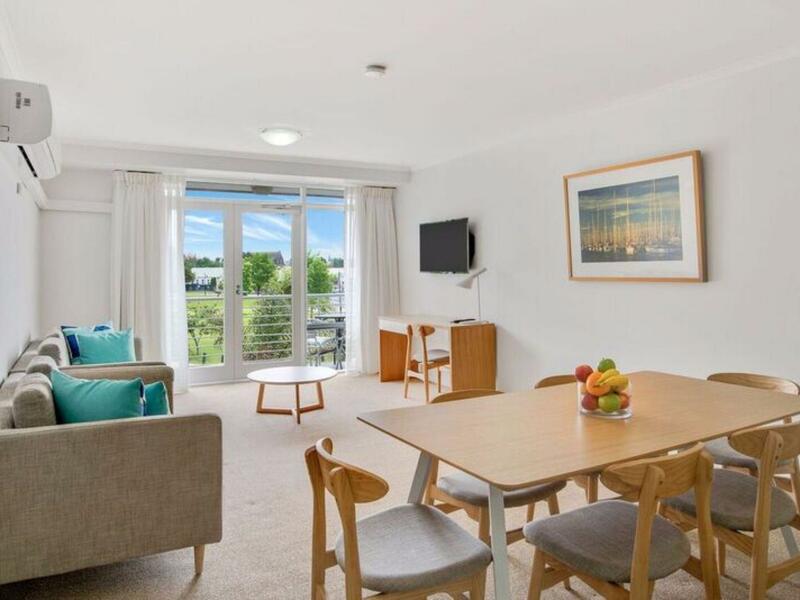 Quest Williamstown is a perfect hotel/ serviced apartment for big groups. Very spacious and has the facilities. Loved our stay! 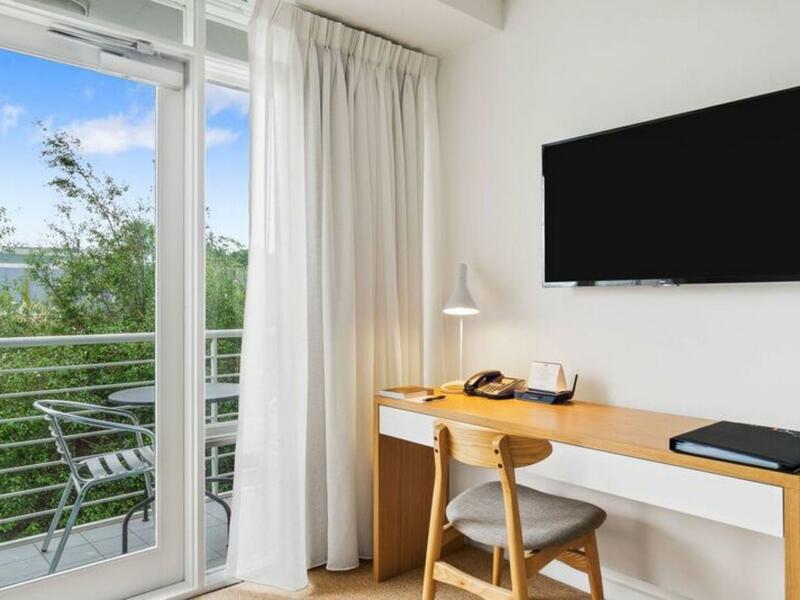 With a view to the park and the city, local restaurants just a stroll away we really enjoyed our stay at Quest Williamstown. 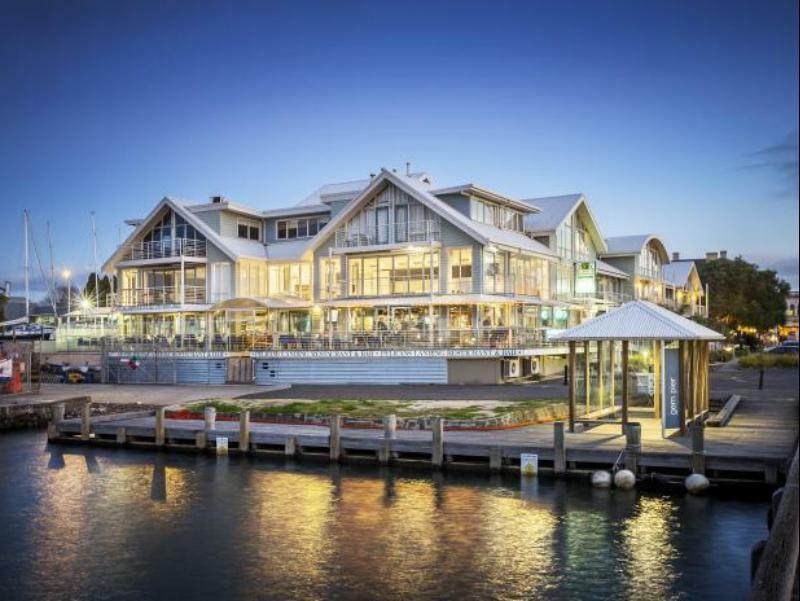 Even though it is attached to the popular Pelican Landing restaurant, we were not disturbed by their venue or clients. We loved Williamstown, there was so much to do. We will be back. Hi Julie, Thank you for your review. We are so glad you enjoyed your stay and we look forward to welcoming you back to our property. Kind Regards, Quest Williamstown. Hi GILLES, Thank you for your review on our property. We appreciate the feedback in regards to your heater. In the future please do not hesitate to contact reception during your stay if you have any issues at all, as we want to ensure our guests have a comfortable stay. We are so glad you enjoyed your time with us and we hope to welcome you back soon. Kind Regards, Quest Williamstown. The place is spacious with all home appliances are available made the stay stress free and like 2nd home. Receptionist was very polite and helpful. 1 thing for improvemen is the housekeeping. Crumbs were not vacumed and couch cushions were left lying on the floor. Our team work hard to ensure a positive experience for our guests, so it is great to hear you have found this with the reception staff and room amenities, although it is unusual for these things to go unnoticed by the housekeeping team, we have taken it on board and will pass on the feedback. Thank you for your review. Hi Kelli, thank you for your 4.5 star review! It is great to see that besides our beds you enjoyed your stay with us. We appreciate all forms of feedback, and have taken yours on board. We hope to see you again soon. The hotel is on way from Melbourne to Great Ocean Road. It's a good option if you do not willing to enter the city. Hi Ke, thank you for your five star review. Our rooms are very spacious and can accommodate multiple guests which makes it perfect for families and friends. All the best with the rest of your road trip. Many thanks, Quest team. This hotel is nice if arrive in Melbourne and heading for Great Ocean Road. Apartment style, big room and very clean. Will be better if supply breakfast as well. Hi Ke, Thank you for your four star feedback. It is great to see that you enjoyed your stay. We are indeed very lucky with our location. We look forward to welcoming you back soon. Kind Regards, Olivia. The agoda deal included drinks on arrival, parking, and late check out. Quest was not aware of any of the inclusions. No drinks on arrival, charged for parking, and requested to check out at standard time. Hi Elvi, Thank you for your feedback. We hope to welcome you back soon. Kind Regards, Quest Williamstown. We had booked a 2-bed apartment via Agoda (advising of a late arrival) and when we duly arrived at 10 PM we were unable to enter reception. That's when our Quest (Ordeal began). Next to the entrance there was a lockbox which presumably had our room key in it, but we had not been contacted by Quest or advised of a code for the box. There was an after hours intercom which I tried but that just went to a message requesting me to leave a message and my number (which has never been replied to). Thankfully the attached restaurant/bar was able to get our key out of the lockbox. However, the problem was that the key was not the key to our room despite being labelled with the room number. With no contact number for Quest and as I had booked through a third party (Agoda), I was able to contact Agoda on their 24-hour customer service line and they tried three phone numbers to contact Quest and/or the after hours manager. Finally after more that 1 hour we made contact with the night manager who was able to let us in to the room. But the room was not provided with the bedding we requested for 5 people and so the night manager ran off to find bedding for the 5th sofa bed. I went down to reception in the morning to get the correct key and sort out the problem. No apology - in fact they tried to blame Agoda (who were most helpful, even offering to find new accommodation at their cost) or to blame the new staff that were on duty at night. For the price we paid the experience was less than satisfying. No more Quests for me. Room had lots of faults. Management need to check their room more often. The shower was broken and had to be replaced. There were tiles coming of the bathroom wall and plenty of mildrew. A window was hard to open as one side of it was broken. Lights were extremely dim. On the 4th January we had to have our car out of the carpark early as the streets were being closed off. There was NO information about this event put under room doors to let people know if they wanted to go out to more their car early. This is the second time i have stayed and will stay again. Although the bed was very comfortable, the shower/bath was outdated and frankly, dangerous, as one had to climb into it. Not good for our friend who couldn't manage the climb. There was a large tear in the curtain and the kitchen could've been a little cleaner. I thought it was too expensive, as well as the room is showing it's age.